San Diego Public Library and transcenDANCE Youth Arts Project are proud to present United We Move. This dance performance will be a tribute to the 2018 One Book, One San Diego selection, March: Book One, a graphic memoir by Congressman John Lewis, Andrew Aydin and Nate Powell. 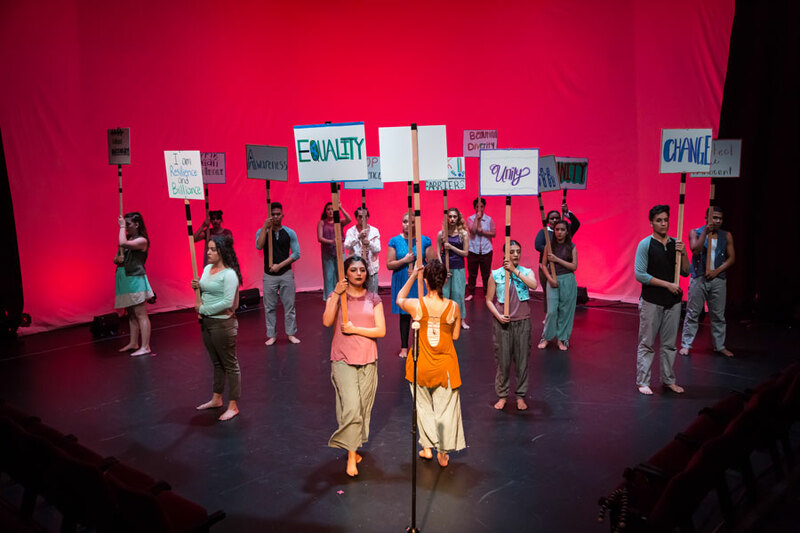 In United We Move, the teen dancers in the transcenDANCE Performance Group will explore how they experience discrimination, injustice and inequality in our community today by sharing their personal narratives through spoken word and movement. The powerful images and the struggle that are depicted in March: Book One will be reflected in our students’ original choreography and dance. Through their performance, the courage of our country’s iconic civil rights leaders will be mirrored by our students’ courage to reflect on their experience, express it creatively and create an inspiring vision for a more just and equitable society. transcenDANCE is a Creative Youth Development organization based in National City with current residencies in Chula Vista and at NTC/Liberty Station. Our name, transcenDANCE, speaks to our purpose and the purpose of leaders depicted in March: Book One; transcend means “to go beyond the range or limits of something; to climb so high you cross some boundary.” This event is part of our programming for this year's One Book, One San Diego where we will explore themes of civil rights, social justice, and discrimination.